Interested in embarking on a six-month cultural immersion and language course in China, Japan, Korea or Indonesia? Then get your skates on and apply for the Victorian Government’s Hamer Scholarship Program. Applications for the 2018 program close on 10 March and are invited from Victorian residents aged over 21. The unique scholarship aims to develop cross-cultural links and new trade and investment opportunities for Victoria, with close to 300 Victorians participating since its inception in 2012. Successful applicants receive $10,000 to study in China or Indonesia, or $15,000 to study in Japan or Korea. Past Hamer Scholars include the Deputy Commissioner for Greater China, the Trade Commissioner for Beijing and the founder of GAO Group International – a management consultancy and marketing agency specialising in the Asia Pacific and Middle East. 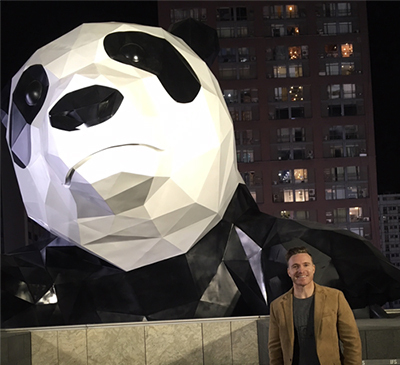 To learn how the scholarship can help fast-track your career, we checked in with Tyson Murphy who’s in China’s Sichuan province. He says receiving a Hamer Scholarship in 2016 was “an experience of a lifetime”– the young businessman used his scholarship to study written and spoken Mandarin at Suzhou University near Shanghai and is now a founding partner and director of the Australian Movement. Based in the city of Chengdu in Sichuan, Murphy’s organisation is helping Australian companies navigate the language and cultural barriers, plus the red tape, to “move” products and services to Southwest China. He’s certainly onto a good thing as the region is an emerging growth corridor: compared to the large presence of foreign companies on the Chinese east coast, Southwest China remains a largely untapped opportunity – 81 million people live in Sichuan province alone and it’s the fastest growing economy in the region. How did your Hamer-funded course help shape your career arc? The course was quite intensive and taught in a typical Chinese rote learning style which, while very challenging, kept me focused and sped up my learning. It gave me important skills to interact with Chinese people culturally, and this flowed on to my ability to engage with Chinese people in a business environment – it’s hard to forge a career in China if you’re unable to speak to Chinese people. Why did you apply for a Hamer Scholarship? It was a logical stepping stone. Working in the Victorian Aboriginal health sector for 10 years was invaluable in developing cultural competence. And the Asian piece of the puzzle came when I wrote a paper on the Victorian Aboriginal leadership model and its potential application in Asian businesses. I was also doing my MBA in Hong Kong and Kuala Lumpur at the time, and the China-Australia Free Trade Agreement, which rolled out in December 2015, was gaining momentum. So, it was a case of the stars aligning in terms of what my next career move would be. I found myself inadvertently working towards where I find myself today – becoming a Hamer Scholar and starting a business in the cultural brokerage space between Australia and China. When did The Australian Movement launch? Myself and two other Aussies co-founded it last October. While our business is still quite young, we bring a combined 12 years’ experience in China – in particular Chengdu, Sichuan where we are headquartered. We’re passionate about bringing Victorian and Southwest China businesses together because we know the ‘want’ is there and the opportunities are endless. This, coupled with the recent Victoria-Sichuan sister-state relationship, provides the drivers for change that can generate mutually beneficial business outcomes. Our China experience, in-market knowledge and cultural skills can make Victorian businesses’ entry to the Southwest China market a reality. How are you helping Victorian business who want a slice of the ‘China pie’? Getting back to Melbourne before Christmas to meet with several key Victorian sporting and outdoor education businesses, private businesses and government departments was a big step forward for us. The feedback we got was clear: businesses want a slice of the ‘China pie’ but don’t necessarily know where to start, or whom to trust. This is where we can help as cultural-trust brokers; we can assist and support clients to navigate the cumbersome Chinese business landscape. What does a typical work day hold for you? To be honest, being in the depths of winter when it’s three degrees, getting up early is a real grind; but after going for a morning gym session followed by breakfast and a strong coffee, I’m ready to hit the ground running. First order of the day is to catch up on my Australian emails given Chengdu is three hours behind. We prioritise maintaining constant contact with our clients and look to develop new relationships. Every day the goal is the same – do whatever we need to do to bring Chinese and Australian businesses together to create successful partnerships. We have a simple philosophy at The Australian Movement: ‘your success is our success’. What have you loved most about living in China for the past two years? Sichuan food is ‘crazy spicy’ which suits me down to the ground, the people are lovely, and Chengdu is surrounded by beautiful mountains and many cultural heritage sites so there are endless places to visit. What more could you want? Oh, being a hop, skip and a jump from Southeast Asia is also a major benefit – I can be in Thailand or Vietnam in just couple of hours to get my beach fix! Find out how to apply at the Trade Victoria website.